Thinking of selling, and looking to add value to your home by sprucing up your kitchen? Or just simply in need of a kitchen-refresh? Then take a look at our cost-effective ideas that can help transform your kitchen on a budget. Plants can bring life to any kitchen (quite literally), and will instantly give it personality and character. If you have open shelving, hanging plants such as string of hearts would help create a cosy atmosphere, whilst cactuses on the windowsill would give the room a quirky edge. Furthermore, orchids have become increasingly popular over the last few years, and having one in the corner of your kitchen would instantly make it appear more modern and sophisticated. If want to create a vintage feel for your kitchen, picking up items from charity shops and flea markets is the best way to go about it. From spice jars to whole kitchen units, you could definitely find some gems at a really reasonable price. 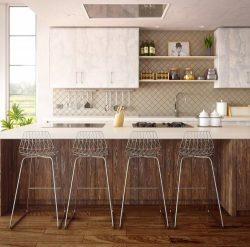 You might even come across some cool mix and match bar stools from eras gone by, which would certainly give your kitchen a nostalgic character. 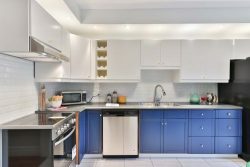 If you’re not in the mood for the upheaval of fitting new units or cabinets, then painting your current ones could give your kitchen the facelift that it needs. Light grey, mint green and royal blue are all colours that are on trend for 2019, and painting your cabinets in any of these colours could be the perfect way to disguise any stains or tear and wear. Glossy paint resists moisture, which is something to bear in mind when choosing your paint. If you’re on a tight budget, there are ways to refresh your kitchen without having to spend anything. Using what you’ve already got can be just as good as splurging on new kitchen items. 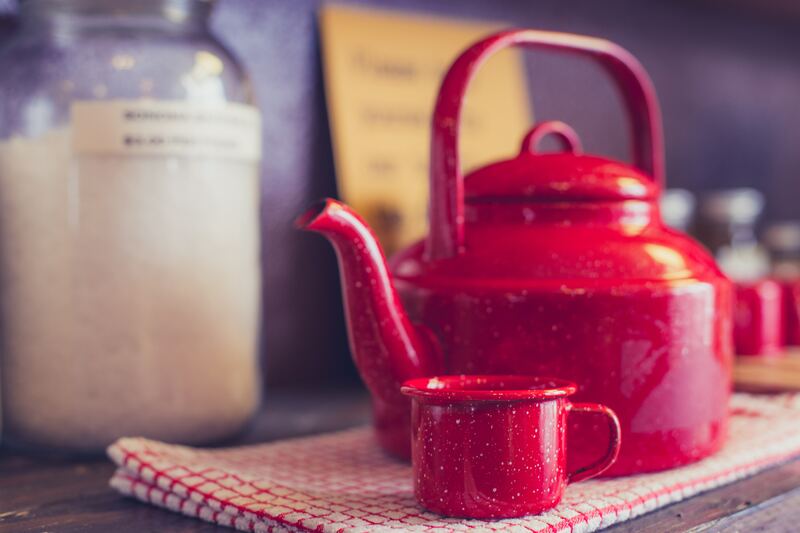 If you’ve got any pretty teapots and cups, or some lovely vintage china that has been passed down to you, then don’t leave them just sitting in your cupboard! Displaying them on your kitchen worktop or a shelf can instantly make the room more homely and personal, something that potential buyers subconsciously look for when checking out properties. We hope this has given you some good ideas on how to spruce up your kitchen without having to spend a fortune. If you’re thinking about selling your property, then check out our selling page to find out more, or get in contact with us directly here.